When I arrived at Webster Hall, Freelance Whales were already on the third or forth song. I knew that I was going to be late, because of a prior commitment, but I was still miffed that I missed the first part of their set. Lucky for me, Freelance Whales had four more songs to go in the their set. I noticed first off that the Freelance Whales had a pretty good audience for an opening band. It seemed there were the same amount of people in the room as there was for Owen Pallette's show the week before. During their set, Freelance Whales traded off instruments after each song. It seemed that each musician was proficient on one instrument and knowledgeable enough to play the other instruments adequately. Most of their songs included a banjo but also included a wide range of odd instruments like glockenspiel and waterphone. On the last song, a harmonium was played which looks like small keyboard with a flap on the back that has to be pushed back and forth. There was a wonderful simplicity to Freelance Whales that is accented by their beautiful harmonies, an example being the swell of voices I heard on their song “Broken Horse.” Freelance Whales songs were poppy but did have a folksy feel. I've been listening to Freelance Whales on their MySpace page and I enjoy their material. I hope to see them as a headlining band in the future. The backdrop for the stage on Wednesday was an illustration done by Linnéa Ekström for Shout Out Louds (Even though it was there through Freelance Whales Set.) About 3 months ago, I was looking through some concert listings and saw the illustration. It stuck in my head, from that time on, because I was intrigued by it. 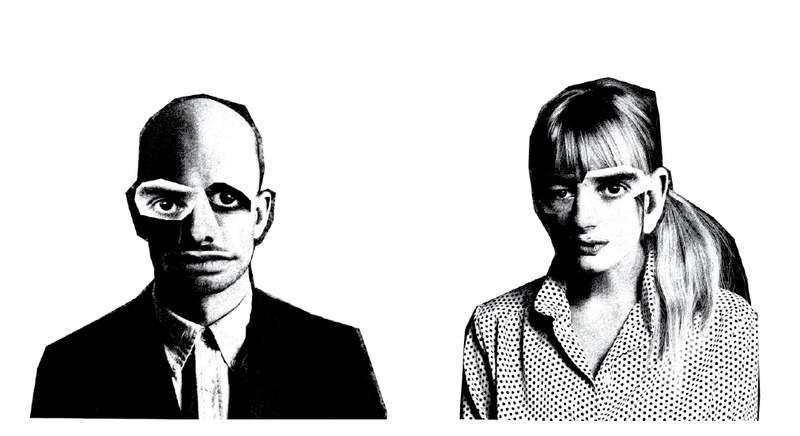 The striking illustration is a collage of drummer Eric Edman and keyboard player Bebban Stenborg's face with the eyes, noses and ears of other band members. Below is the actual illustration. At about 9:15 dry ice smoke started to come up on stage and the recorded sound of an orchestra tuning was playing as Shout Out Louds walked out. Adam Olenius and guitarist Carl von Arbin must have not gotten the memo that it's a fashion faux pas to wear white before Memorial Day. Then again they are from Stockholm. As far as appearance goes,Bebban Stenborg reminded me of the 60's model Twiggy. Stenborg looks skinner than she does in photographs but she is just as beautiful. The Shout Louds opened up their set with “1999” which is the opening cut on their album Work. They immediately followed the first song with “Throwing Stones.” As I watched Shout Out Louds I couldn't help but think “Damn, Robert Smith must have had a woman in Stockholm because the band sounds like The Cure.” A lot of Shout Out Loud songs reminded me of “In Between Days,” and “Friday I'm In Love.” The grinding guitars at times reminded of early Cure songs and the 80's band Polyrock. Although Adam Olenius does have his own style, he sometimes (not always) had the same phrasing and vocal quality as Robert Smith. Also, there was something about both Shout Out Louds sound and stage presence that reminded me of Airborne Toxic Event. Perhaps there was the same urgency in Olenius' vocals that I found in Mikel Jollett's. Before doing “Comeback,” Olenius introduced the band but he didn't do it in a staged sort of way. He kind of introduced them like he was introducing us to some of his friends. I noted the introduction because it's something that most indie bands don't do. I guess they feel if you want to know the band members you can look on their myspace page. Around the song “Play The Game,” I started to realize that Ted Malmros' bass playing stayed in the lower register for most of the show. Malmros' low booming bass playing seemed as important to Shout Out Louds sound as did Olenius' vocals. During the entire set, Carl von Arbin and Adam Olenius would switch back and forth between electric and acoustic guitar. The two also switched off between rhythm. and lead (in this case, by lead I mean more like melodic themes than solos). There were times when different members would play small percussion instruments. On “Tonight I Have To Leave It,” Olenius played an agogo besides tambourine. He also played a sort of clapper on “Paper Moon.” During the song “Fall Hard” Olenius played tambourine by putting it around his neck. During the song “Throwing Stones” Malmros played sliegh bells. During “Too Late Too Slow” drummer Eric Edman changed over to electronic drums which had a definitive snare and kick sound. For the next to last song of their set Olenius said, that when they were in Phili, some guy kept screaming out the name to the song they were about to do. Then Olenius said “so what the hell” and the band went into the song “Normandy.” I think they added the song for New York City because it wasn't on any of the set lists for other cities that the Shout Out Louds played. I don't think they were prepared to do the song because even though they did it well enough, the ending of the song kind of fell apart instead of ending. For the last song, Shout Out Louds did “Very Loud, “ from the CD Howl Howl Gaff Gaff. As a song quote (rather than a medley), Olenius threw in a chorus of Kiss's “Back In The New York Groove.” Their set ended on a high note. The packed house seemed to have had completely enjoyed their set and wanted more. 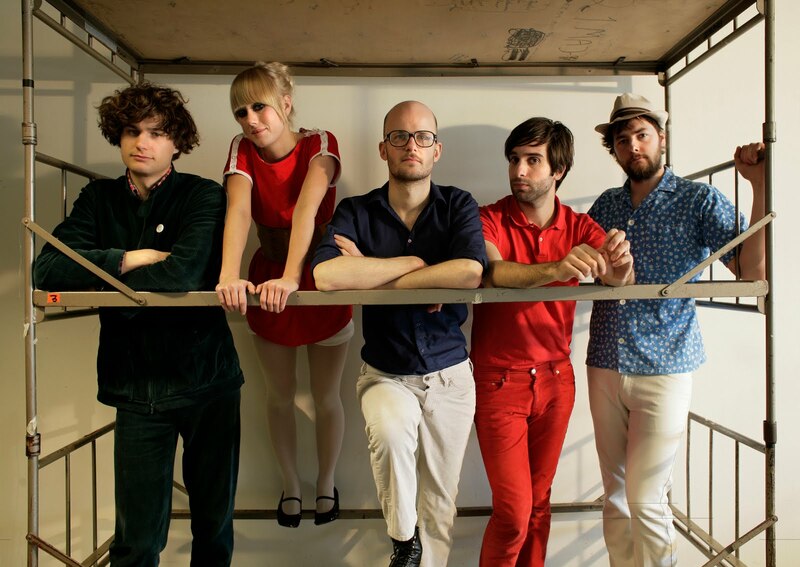 Shout Out Louds came back and did one of my favorites “Impossible,” off their Our Ill Wills CD. They ended with of the new song “Walls,” which warrants being heard live. 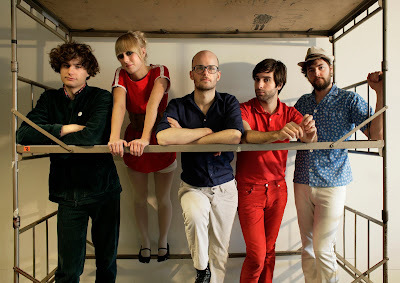 In the past few months, whenever I talked about my blog, someone would invariably ask me if I had seen Shout Out Louds. Last week, I met a woman at Gossip's concert who's face lit up when I said I was going to see Shout Out Louds. I went, I saw and I enjoyed them immensely. Their pop songs are well written and catchy without dumb-downed lyrics. So, now I can answer yes to that burning question. I have seen Shout Out Louds. Amen.